Our Australian climate can present challenges for pool builders. Bisazza has developed an innovative support system for mosaic sheets that ensures tile adhesion exceeds the requirements of the latest Australian standards. As part of an ongoing programme of technical innovation, Bisazza’s revolutionary hotmelt system for mosaic is exclusively available in Australia and New Zealand for selected colours and blends. The latest hotmelt cross linking system uses polyurethane (PU) thermo set adhesive which is strong, easy to adjust and does not change its characteristics when wet. The precision application of the Bisazza PU material ensures maximum adhesion. The Bisazza PU adhesive is also UV resistant, so it will not darken over life (non-uv resistant materials may cause spots to be seen through the mosaic). 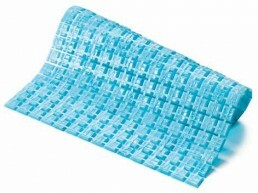 For these reasons, the Bisazza range of hotmelt-mounted mosaic is recommended for use in swimming pools, spas and other installations where mosaic is immersed. To further enhance the installation and the aesthetic appearance of the mosaic, Bisazza recommends the Bisazza range of Fillgel which has been further improved to provide a greater resistance to UV. AS 3958.1.2007 PART 1. Tile adhesive coverage 90%. For technical enquiries about the PU Hotmelt system, please email Bisazza: info.australia@bisazza.com. A special selection of beautiful colours and blends is available, mounted on the hotmelt tile sheet.